Following its première in Belgium and second stop in Istanbul, the world's largest and most comprehensive Leonardo Da Vinci exhibition will continue its world tour at Agora Shopping Centre in Antalya. 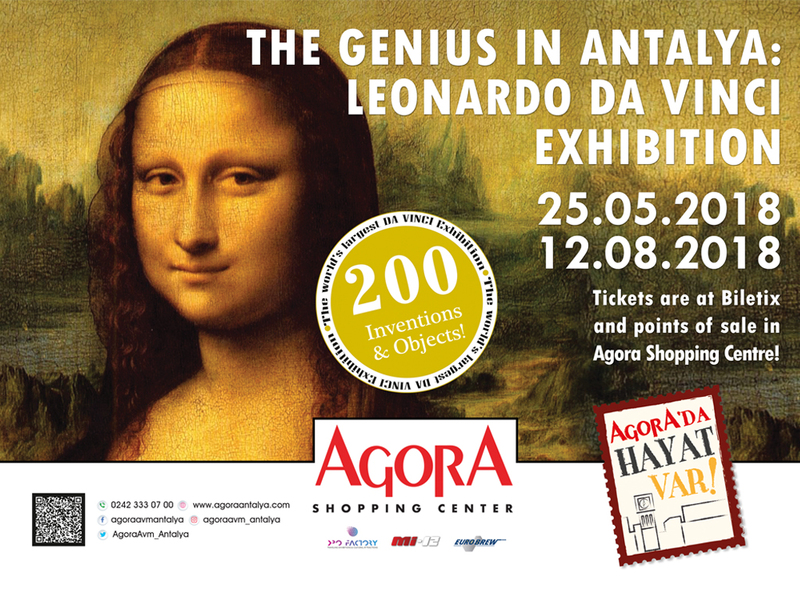 Attaching a great importance to the city's cultural and artistic values from its opening, Agora Antalya Shopping Centre is preparing to host the most important exhibition internationally that is dedicated to Leonardo Da Vinci. The exhibition that will open its doors with the title of the world's largest and most comprehensive Leonardo da Vinci collection appeals to everyone from 7 to 77. The exhibition that will bring 200 items including original hand-writings, paintings and drawings of Da Vinci in addition to 100 replicas created based on Da Vinci's original sketches art-lovers together will continue host art-lovers until the end of August. The exhibition also sheds light on other important Renaissance artists, such as Michelangelo, Giorgio Vasari, Donatello, Verrocchio, Giambologna, Raphael, Francesco Guardi and Canaletto and samples and original documents presented by contemporaries of Da Vinci inspired by Da Vinci's works. It was found out that Leonardo da Vinci produced about 6 thousand inventions, invention developments and painting sketches and that he put a very small part of them into practice. Prepared by a team of 22 people, consisting of engineers, historians, graphic artists and artisans from Belgium and Luxembourg, after a rigorous 10 years of work, the exhibition aims to increase the knowledge about Vinci by exemplifying some previously unexplored topics. The most important feature of the Leonardo da Vinci Machines Collection is that the replicas that are displayed in the exhibition were made of wood and metal adhering to their original designs. No single screw was used in the replicas where no industrial coupling elements were used. Some of these replicas, which have been made according to the original sketches of Da Vinci, are in their original sizes while the remaining replicas are in sizes varying from 60 cm to 5 meters. With more than 30 years of experience in construction, Odak Group has invested in the Agora Antalya Project by bringing its knowledge above 10 years on shopping centre development and management together. 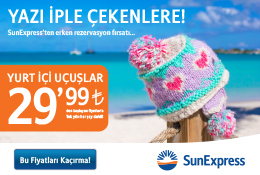 Agora continues its business partnerships in Antalya with the leading and innovative brands of the retail sector in İzmir. Spreading over an area of 20.000 m² with the opening of the Second Stage in the first week of June, Agora Antalya Shopping Centre will become the biggest shopping centre of Akdeniz and Ege Regions by incorporating strong brands such as İkea in particular, Paşabahçe, Happy Moons, Num Num, Kronotrop, Yargıcı.